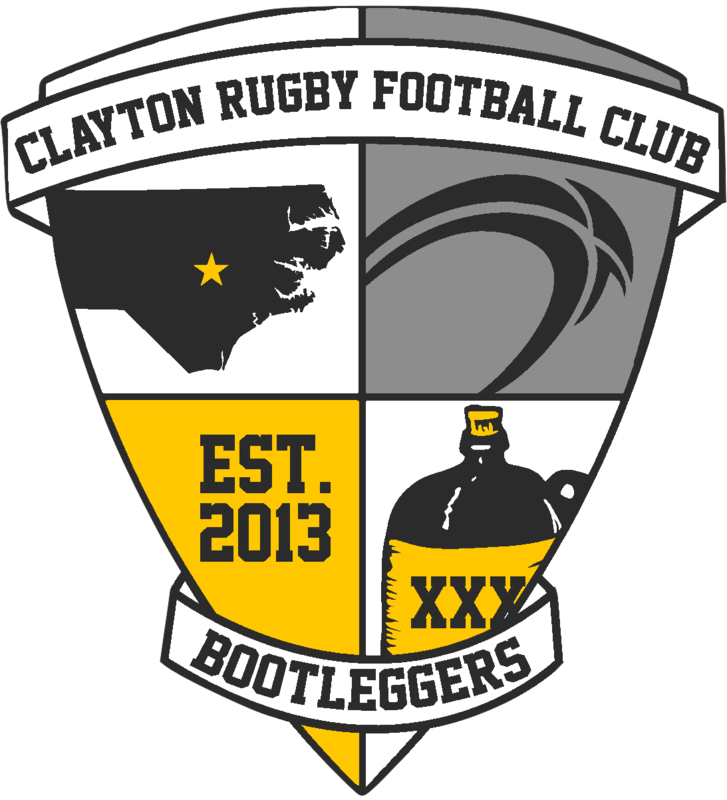 CLAYTON, NC – The Summer 7s season is just around the corner and with that comes the launch of the Carolinas Geographic Rugby Union 7s Qualifying Series. The Carolinas 7s Series consists of five host tournaments to decide which Men’s and Women’s teams move onto to the South 7s Championships and continue their path to the USA Rugby Club 7s Nationals. The Clayton Rugby Football Club is excited to announce that the CottonTown 7s has been chosen as one of the host tournaments for the inaugural Carolinas 7s Series. As a host of a Carolinas 7s Series qualifying event, the Men’s Club and Women’s Club Divisions at the CottonTown 7s will now serve to double as qualifying brackets. Each CGRU registered club that plays in the those divisions will be awarded points based on their finish at the CottonTown 7s. The clubs (one Men’s and one Women’s) with the most combined points from the other qualifying events will move onto the South 7s Championships at the end of July. Other tournaments that won host bids for the Carolinas 7s Series include Charleston Memorial Day 7s (Men’s Only), Wenchfest 7s (Women’s Only), Queen City 7s, and National Athletic Village 7s. 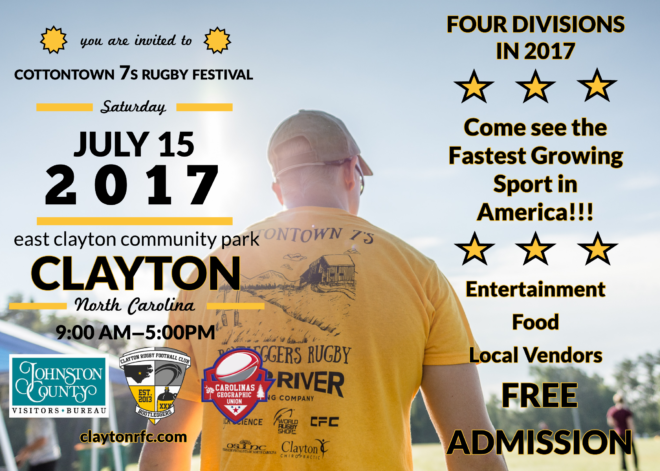 The 2nd Annual CottonTown 7s Rugby Festival takes place on Saturday July 15th at East Clayton Community Park. The tournament field includes the above mentioned qualifying divisions along with the Men’s Whole Hog (Social) Division and a High School Varsity Boys Division. Along with the action that takes place on the fields, there will also be food and merchandise concessions, local vendors, a rugby kids activity area, and other entertainment for fans and players alike. Admission to the CottonTown 7s is free for fans. Tournament spaces are already starting to fill up and teams are encouraged to register early to avoid missing out. To register for the CottonTown 7s, please follow this link.